Invoke the Christ Masters, incredibly powerful enlightened beings, who will surround and infuse you with the golden Christ Light. Two meditations on one CD. 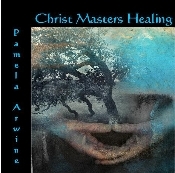 'Christ Masters Healing' (44 min) empowers you to open to profound levels of healing as the Christ Masters lovingly attend to your deepest physical and emotional needs. In 'Journey to the Christ Masters' (21 min) you will deeply surrender into the golden portal to the fifth dimension where you will walk and talk among the Christ Masters. Single CD. Total time 65 min.